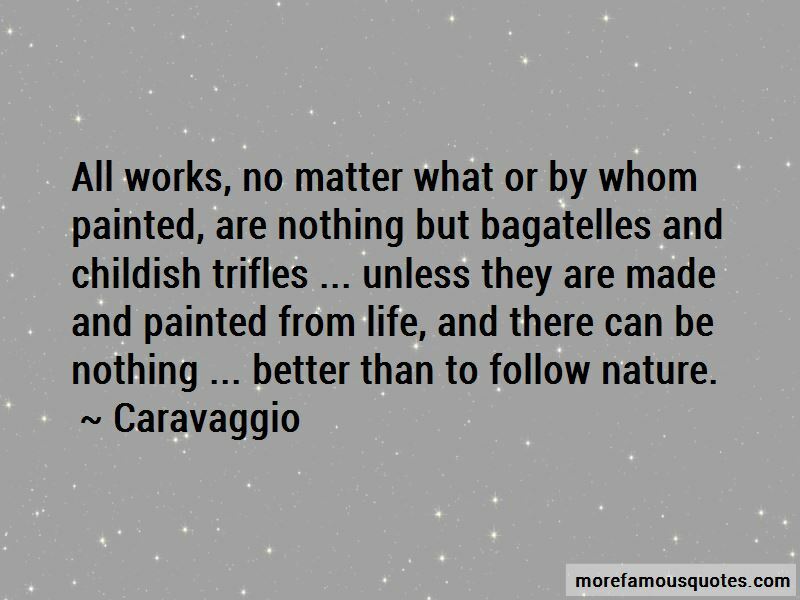 Enjoy the top 1 famous quotes, sayings and quotations by Caravaggio. All works, no matter what or by whom painted, are nothing but bagatelles and childish trifles ... unless they are made and painted from life, and there can be nothing ... better than to follow nature. Want to see more pictures of Caravaggio quotes? Click on image of Caravaggio quotes to view full size.